Tariq Alam Abro, prominent sindhi writer, novelist, poet and columnist has been admitted to the hospital at Karachi. Reasons of illness have not yet been confirmed. Naseer Mirza, another popular sindhi writer, columnist, announcer and close friend of Tariq shared this sadenews through his facebook status and requested all friends to pray for Tariq’s good health, long life and fast recovery. We are waiting for further information and will share as soon as we receive any. January 15th, 2011(Houston correspondent)- Hundreds of American Sindhis gathered in Houston to pay tribute G.M. 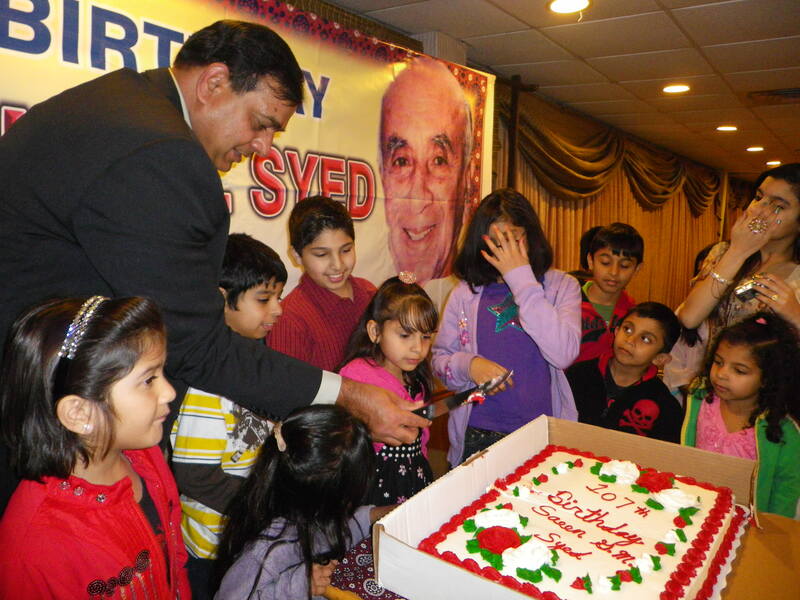 Syed on his 107th birthday on Saturday, January 15, 2011.G.M. Syed pioneer of Jeay Sindh and founding father of Sindh who voted for Pakistan’s establishment but later he campaigned for an independent Sindh-separate from Pakistan. 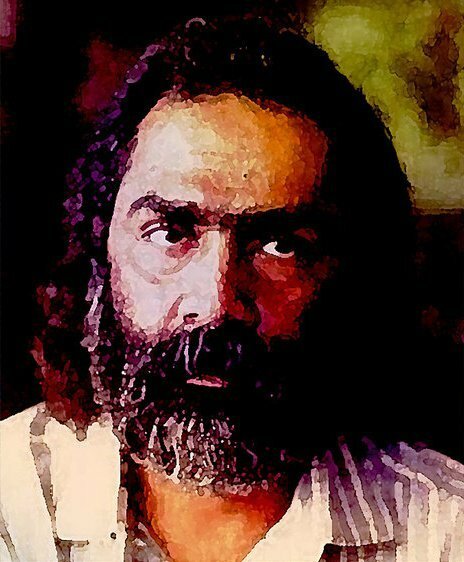 G. M Shah is being lauded for his strugle in Sindh province but a many times, he had to go to prison for his views and struggle for the separation of Sindh from Pakistan. Sindh is one of the provinces of Pakistan and land of two former prime minister of Pakistan: Zulifqar Ali Bhutto and Benazir Bhutto. Former was hanged by a military General while latter was assassinated in in recent years. Houston, Texas is second home of Sindhis where thousand of Sindhi lives as a community and celebrate their social and cultural events. According to the reports received, the participants of the event expressed deep concerns over human rights violations in Pakistan. Dr. Hidayat Bhutto, Chairman of World Sindhi Congress and Dr Zia Shah of G. M. Syed Memorial Committee presided over the event. Several scholars and community leaders spoke at the event. Approximately 350 delegates from different parts of Texas, USA came to attended the event. Among speakers was Dr. Cook who talked about the historical dimensions of sufi Islam in Sindh and India and said that this heritage must be retained in order to deal with the growing extremism Pakistan. he praised the role of late Syed G.M Shah in promoting religious tolerance in the region. Dr. Valeed Shaikh, President of Sindhi Association of North America emphasized the need of unity amongst Sindhis. Dr Yvetter Rosser, a research scholar from Autsin said Syed’s message of non-violence and peace is much more pertinent today. Pakistan and all over the world. Ms Noonnisa Ghanghro, Vice President of Sindhi Association of North America presented her field research on Gender and Development in the ‘Kacho’ region of Sindh. 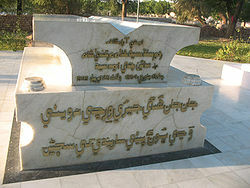 by the World Sindhi Congress and the G. M. Syed Memorial Committee. Stalls of Sindhi handicrafts and textile was arranged to support the flood relief work in Sindh. Through the generous participation of the community, USD 1340 were raised. all speakers and awarded appreciation certificates for the volunteers and others. It followed by the sindhi music by Sunny Dewan who performed amid the sindh dance by the participants. Prominent community members who attended the event including: Sarfarz Abbassi, Aziz Narejo, Imdad Seehar,zafer agha,aamir brohi,samar brohi, Zeb Agha, Abdul Hussain Narejo, Jamil Daudi, Shabir Jatoi, Asif Shah, Abhiman, Maryam Shah, Teerthdas K, M Dahri, Raees Patoli,waheed patoli,bashir shaikh. Mumtaz Memon, Malik Dino Shaikh, Akhter Shah, Umed Ali Laghari, Amber Laghari, Sabir Jatoi, Mazhar Jatoi, Qasim Jatoi, Manzoor Shah, Ashfaq Seehar, Khan Thebo, Tashfeen Brohi, G M. Morai, Bhurgri, Mazhar Khowja, Nizamani, Bachal Kalhoro, Nizam Jatoi, and Khushak Kalani. Pakistani government has been systematically violating the human rights of the secular-minded people of Sindh and Balochistan. The current government has completely failed in yielding any sort of equity, fairness, parity for the Sindhi and other oppressed nations of Pakistan. Hindus and Christians is still continue. Delegates asked the international community to do more for the relief and rehabilitation of flood victims in Sindh and Pakistan.